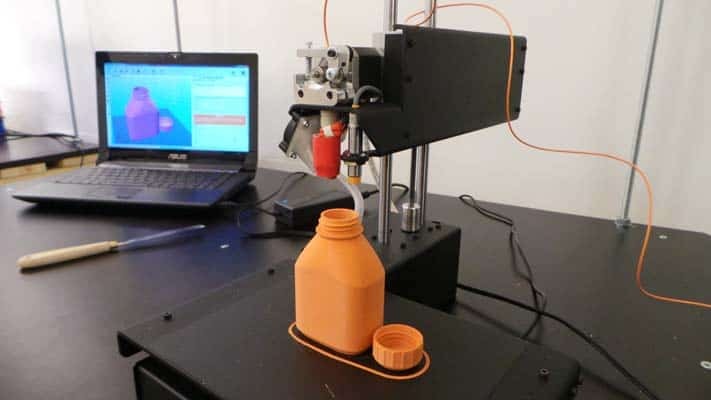 So you’re in the market for a 3D printer. The problem is, you’ve found that these printers are very complex, very expensive machines, and you’re not sure you can commit to such a high initial cost. No problem – we’ve found a powerful, inexpensive model to get you started. 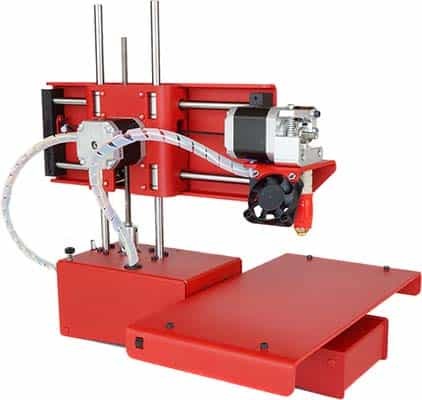 Today, we’re talking about the Printrbot Simple, sometimes called the Simple Metal. Despite being superseded by the Simple Pro, this remains an excellent way to get started. We’ll be looking for its strengths and weaknesses so you can decide if it’s the right printer for your needs. 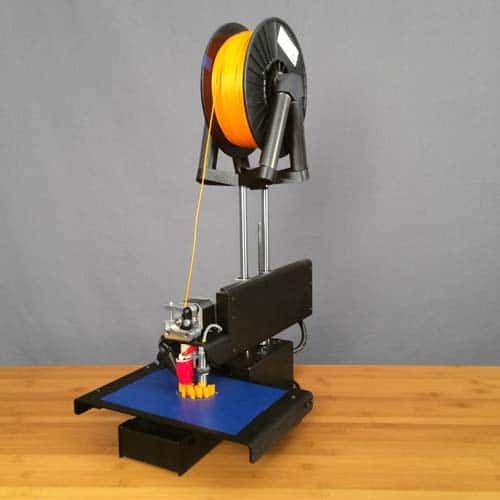 As you might expect, the Printrbot Simple is about as basic as they come. 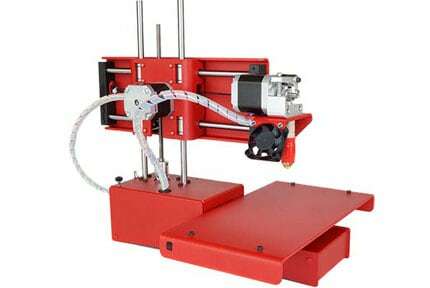 It’s a classic “moving arm” extruder, positioned above an open print bed. The build area is pretty respectable, given that the entire unit measures just 16” tall and 14” wide. 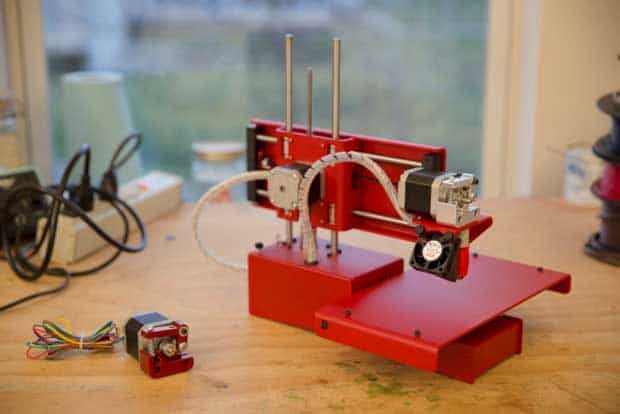 Printrbot describes it as a minimalistic printer, and we completely agree. Now, while this printer’s simplicity makes it very easy to assemble, some more advanced functionality has been left out. For instance, there’s no WiFi connectivity. This isn’t actually all that unusual, considering the printer retails for around $600. It’s firmly in the entry-level price range, so it’s important to temper your expectations. While previous iterations were made of laser-cut wood, this model is powder-coated steel, which really adds to its durability. Unless you’re throwing it around, it’s unlikely you’ll manage to seriously damage the Simple. Don’t consider that a challenge, though: there are smaller, more delicate parts. Now, because this is a budget printer, you’re likely expecting low-quality prints. However, the Simple actually creates pretty detailed models. The Z-axis does wobble a tiny amount, creating small imperfections in the finished products, but these are so small as to be invisible and all but irrelevant. You should note that you won’t be created masterpieces with this printer, though. It is, after all, intended for novices. For occasional or hobbyist use, however, it’s ideal. Printing is exceedingly simple: just connect your storage device and select which model you’d like to use. 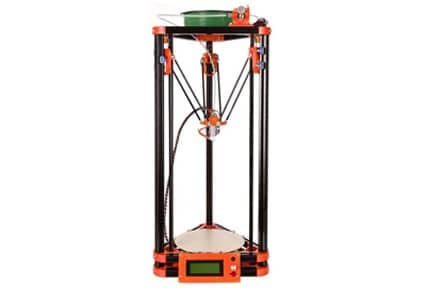 You have the option to print with either ABS or PLA. The Simple also supports what it calls “exotic” filaments – that is, variants of these two materials. These exotic types include soft-touch or fiber-based filaments, so you actually have a pretty good range to choose from. You’re not limited to proprietary filament, either, which is great. The Simple doesn’t really have many advanced features. That said, it does have a way to automatically level the print bed, something which is usually only found on far more expensive models. This takes the tedium out of preparing to print, which can only be a good thing. 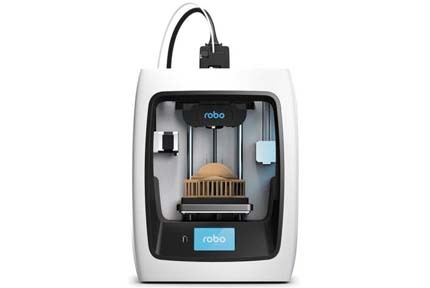 It doesn’t actually come with any printing software, however, Printrbot recommends using Cura. As this is available for free online, it’s not a major issue. This software is compatible with Mac, Windows, and Linux, so there aren’t any limits on the computers you can print from. Now, the only issue is that the print bed isn’t heated. As such, you might have a little trouble printing with anything other than PLA, since your material will tend to stick. 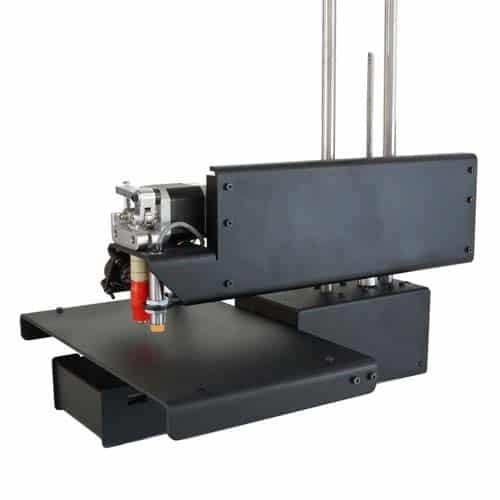 However, this can be bypassed by carefully regulating the temperature of your print area or using something like BuildTak to make it easier to remove. This model performs admirably given its low price. That said, because the upgraded version costs about the same and includes an LCD screen, there’s really no reason to opt for the original. 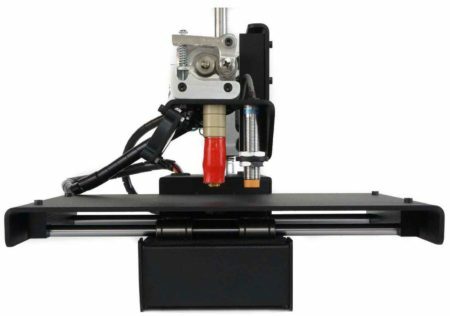 There’s even a heated bed variant of the Pro version, although it costs around $100 extra. Still, if you can find a used Simple Metal, it’d be an excellent way to get into 3D printing. Sure, you’re not going to be creating stunning, finely detailed models with lots of overhangs and internal structures, but it’s good enough to get your feet wet with. As this model has been discontinued by the manufacturer, there really isn’t a lot of support available. Don’t get us wrong: the site has basic “Getting started” and troubleshooting guides for older models, but as the warranty only lasts for 60 days (and only applies to products they’ve sold), you’re on your own for the most part. As Printrbot don’t offer phone support, you’re limited to either asking for help on the forums or sending them an email explaining your problem. This is a little underwhelming: even though the products don’t cost all that much, you’d still expect some assistance from the manufacturer if you run into trouble. There’s also the issue that the support forum doesn’t seem particularly active. When we checked, there were lots of posts that were days or even weeks old, with just one or two responses. If you’re relying on your community to help out, there has to be some kind of community building scheme in place. A minimalistic, easy to use printer, the Simple Metal does a lot of things right. 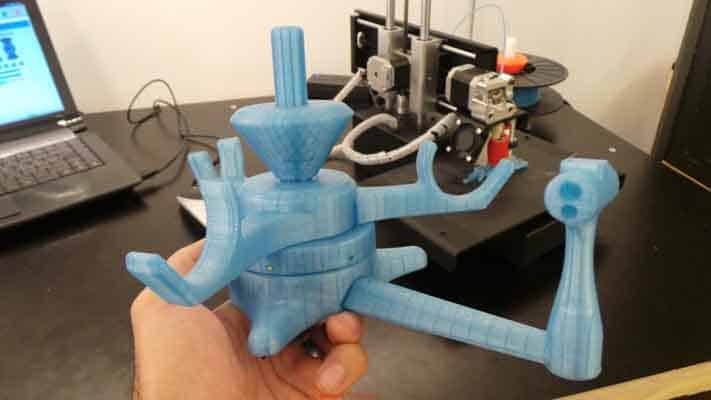 It strips away much of the complexity that 3D printing fans have come to accept, and even includes features not often found in budget models. However, while this product is a good way to get started with 3D printing, it’s no longer available directly from the creators. This means that you’re limited to buying it from third parties. If you can find a good deal on this model, by all means, go for it. If you just want a low-cost printer, you might want to consider the Simple Pro instead. 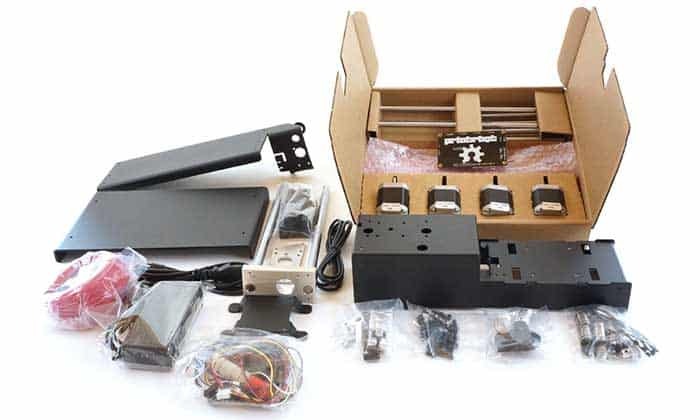 The Printrbot Simple Metal is a very simple 3D printer with not much to offer. Despite its price tag, it's still not fast enough to meet today's standards.